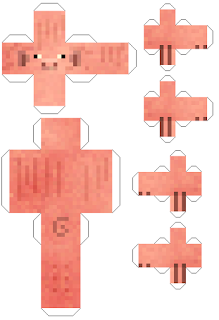 Here is a great papercraft list of Minecraft mob characters to print out and make. 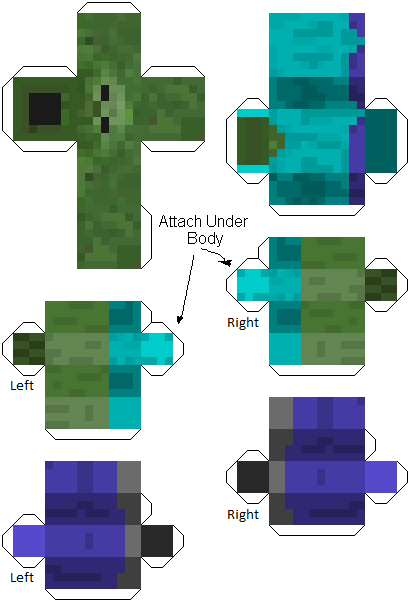 Right click and save image as, print out the Minecraft mob papercraft template, its a good idea to use card when printing but you don't have to, it will still work with normal printer paper. Carefully cut out the separate body parts. DO NOT cut off the tabs on the sides of mob characters, they are important! 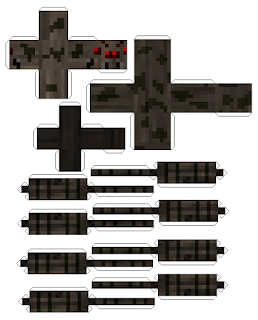 Glue or tape your Minecraft mob character cut-out templates together using the tabs! 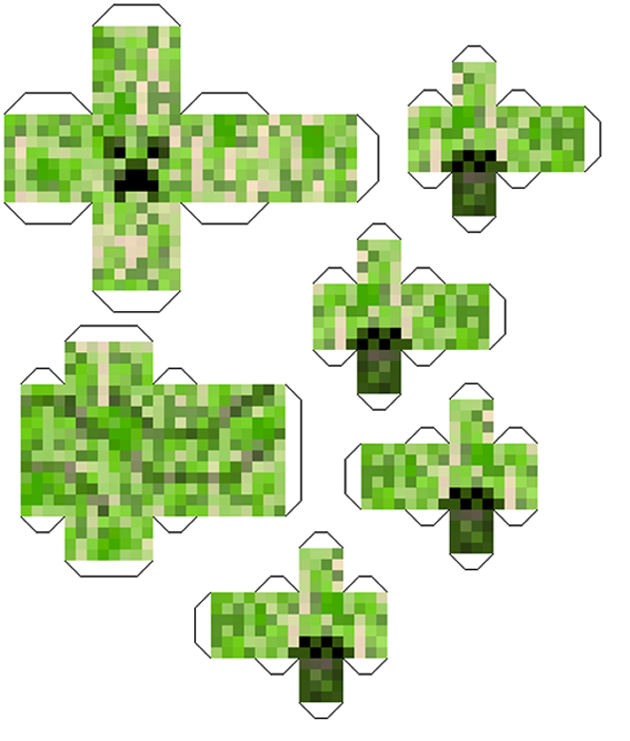 i love minecraft it is my fav game ever i am trying to make all of these! i have a pig right now. but i am going to make more!!!!!!!!!!!!!! what the heck I it wont let me print. Hey FPSXGames wheres the dragon,wait idont have aprinter sorry everybody!!! 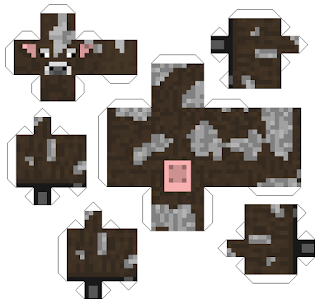 Is there a Herobrine one? Just Print out a steve in black ink only it is freaky lol. yes i have it!!! just made it looks good!! THANKS TO THE CREATOR. GRANDSON WANTS A MINECRAFT CAKE. GOT THE IDEA IN THE WORKS AND YOUR CHARACTERS HELPED ALOT. THANKS AGAIN! i thout this website was really cool because its alot easyer than legos!!!!!! The herobrine has been posted, papercraft printable. If you can imagine each template fits on A4 paper, so Steve would be about 5-6". We love the pig, thank you! Cool thanks. Working on bigger templates ATM, The pig is on the "to do list"
Do you mean custom texture packs? Look forward to your video and linking it! Plz make on of bashurverse!!!!! Sorry I don't understand what you're asking! 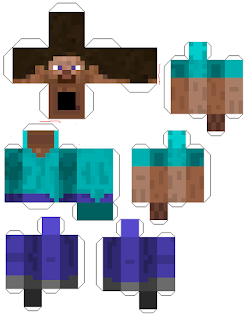 Barry is a skin from pack 4 in minecraft! my little brother wants one and by the looks of it this is the best site! Ah packs 4 for 360, I'm a PC man but will sort this out for you guys. Need to figure out which one is Barry, if you have a image link to help me out that be great. http://minecraft.novaskin.me/skin/5699146723885056/Barry-Steakfries. here you go! it is the Barry Steakfries one I was talking about thanks for your help! Did I miss the instructions on what to do once you've saved, printed, folded & taped the pieces together? What would the recommended method be to attach head & limbs to the body? (working on figures for my son's birthday cake) Thanks! I would recommend looking a reference picture of the characters and think about movement, you could glue limbs at a angle. I will try and get some built examples up. Also try the larger models on site. This is great working on my sons birthday cake and cant find actual figurines thank you!! http://www.minecraftskins.com/skin/2493975/marz/ its the link to a good image. Could you do TheDiamondMinecart (dantdm) and CaptainSparklez (captainsparklez) please? The brackets are their minecraft names, thanks!